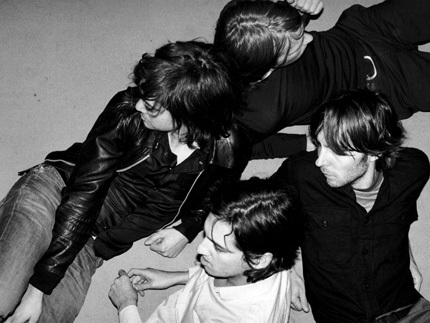 French alternative rock band Phoenix comprises Thomas Mars (vocals), Deck D’Arcy (bass), Christian Mazzalai (guitar) and Laurent Brancowitz (guitar), who started playing music as kids in Versailles in the mid 90s. The name “Phoenix” was officially chosen in 1996 when Laurent Brancowitz permanently joined the formation after his other band Darlin’ disbanded. The other two members of Darlin’ (Thomas Bangalter and Guy-Manuel de Homem-Christo) went on to form Daft Punk, which explains the friendship between both bands. Phoenix released their debut album United in 2000 to much critical acclaim and they’ve been riding a steady wave of success ever since. Their new album, Wolgang Amadeus Mozart, was released at the beginning of this month and it received rave reviews. In a smart publicity move, the album was preceded by excellent lead single “Lisztomania”, hyped up to the max with remixes by Alex Metric, Yuksek, Holy Ghost! and Classixx.